If it’s worth doing, it’s worth overdoing. That’s my life motto. When I want a breakfast that shares my life motto, I go to Big Daddy’s. Their breakfast game plays for keeps. 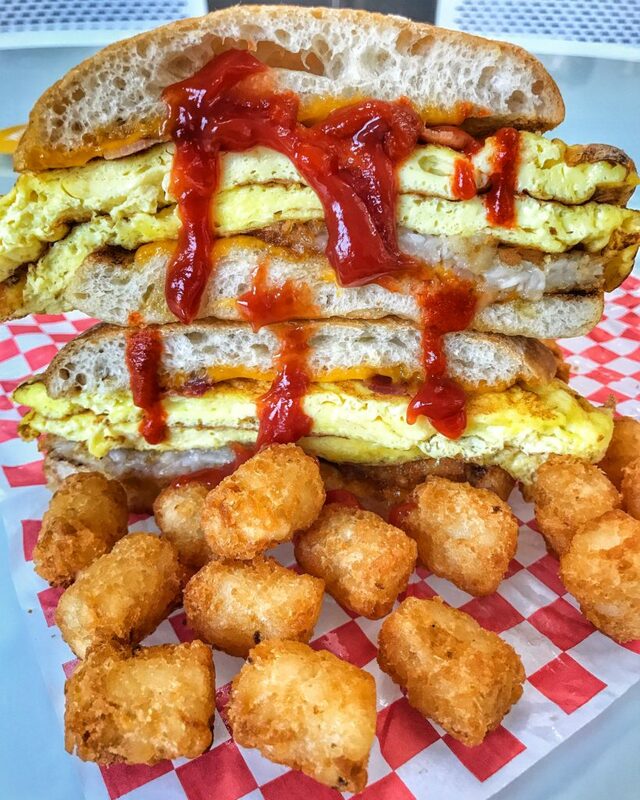 This is the “What About Bob?” – buttery bun with bacon, scrambled eggs, Vermont cheddar & hash browns. I added tots because I’m overdoing potatoes in and outside of my sandwich. This entry was posted in Breakfast, New York and tagged Big Daddy's, breakfast, brunch, nyc, tater tots, what about bob. Bookmark the permalink.